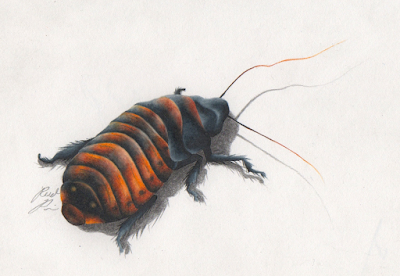 DESCRIPTION: This is a study of a hissing cockroach (Gromphadorhina portentosa). It is done with Prismacolor Color Pencils. This study was completed in order to see the overall anatomy and beauty of these versatile insects.